Thankfully, gluten free cooking doesn’t have to involve extreme changes. Transitioning to gluten free can be as simple as substituting the right ingredients into your old favorite recipes. ◊ Double the baking powder – as the gluten based recipe directs. ◊ Add xanthan gum – Use ¼ tsp of xanthan gum per cup of flour to recipes such as cake, cookies and muffins to help gluten free recipes rise well and stick together. ◊ Add xanthan gum last – After all other ingredients are mixed together. ◊ Limit stirring – of xanthan gum to 5-6 strokes. ◊ Replace baking soda – with baking powder in recipes without vinegar. ◊ Use gluten free all purpose flour mix – Replace traditional flour with a gluten free all purpose flour mix. This can be found in the health food section of many grocery stores. ◊ Follow directions – Keep pan preparation, baking temperature and time as recipe directs. Be sure to use butter, milk and eggs at room temperature – If the butter is too hot, it may cook the eggs. If the milk and eggs are too cold, then the butter may solidify. A quick option is to substitute canola oil for butter. Converting recipes may take several trial and errors until you get it right. Although the recipes may not be identical to taste, they should be close. Good luck! Learn about Xanthan gum and quick tips for adding it to gluten free recipes. Save time and money by preparing your mixes ahead of time, and storing them in the refrigerator until your ready to use them. Simply measure all gluten free dry ingredients, EXCEPT YEAST & XANTHAN GUM, into a sealed plastic bag or container. Be sure to label the bag or container as to the type of mix and date. When ready to use, set the mix out on the counter for 30 min or until the mix is at room temperature. In large bowl, mix liquid ingredients as recipe directs. Then add dry mixture and butter or margarine. Add xanthan gum and yeast on top, if included in recipe. Prepare pan and bake mixture as recipe directs. Check out tasty gluten free dessert recipes the whole family will enjoy. Many gluten-free flours are available in stores and online from a variety of grains, legumes, nuts and seeds. However, purchasing gluten free flours can be an expensive and daunting task; especially if your new to a gluten free lifestyle. ◊ Purchase gluten free flours, such as rice flour, at Asian Food Markets in larger cities for lower costs. Most larger cities and college towns tend to have Asian Food Markets. I’ve found gluten free flour blends for less than $1 per lb at these markets! My local grocer, Hy-Vee, sells gluten free flour for $15 per five-pound bag. Purchasing flours at Asian Food Markets keeps more money in your pocket, and allows more flexibility to try different recipes. 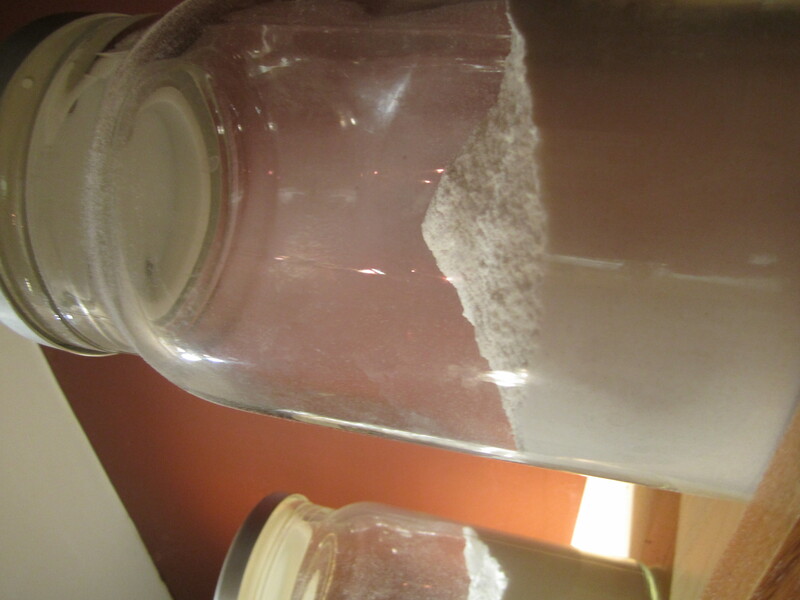 ◊ Experiment with different flour blends in recipes until you find one that works best. Also, try making your own gluten free flour blends. If you don’t have easy access to an Asian Food Market, then check out various health food stores and web sites online that sell gluten-free flour blends. However, be aware these flours can be considerably more expensive. ◊ Store high fiber flours and high protein whole grains in the fridge for longer keeping. High protein gluten-free whole grains include: brown rice, flax seed, wild rice, buckwheat, millet, cornmeal, quinoa, popcorn, corn flour, millet and amaranth. These flours also help add moisture to baked products. ◊ Always read the labels! Manufacturers may change ingredients in a product from one purchase to the next. Be sure to always read labels on every brand! ◊ Add Xanthan Gum in small amounts to gluten free flour mixes to increase the flour’s stickiness.